Longevity of Waterco heat pumps should be approximately 15-20 years with very little maintenance (a gas heater has a life expectancy of approximately 8-10 years!). Like any electrical appliance faults can arise for whatever reason, be it component failure or lack of service etc. Up to now, your pool dealer has been reliant on either their own engineer or to outsource a refrigerant expert to service the heat pump (not easy to book in the middle of summer!). Paramount pool products (Sole UK Importer) have over 50 independent heat pump engineers located nationally, who will be able to service your heat pump (directly with you) in the future or in an event of a warranty failure. To date, 98% of our service requests are attended within 3-7 working days (summer or winter!). We are aware that a number of heat pumps are purchased in the UK and exported to foreign destinations. Unfortunately, we are unable to offer recognised service agents engineers based is such locations and therefore, unable to honor labour costs. However, we are prepared to supply replacement parts under the five year warranty term. All delivery costs to be paid by the consumer. For further information about how heat pumps work please click here. 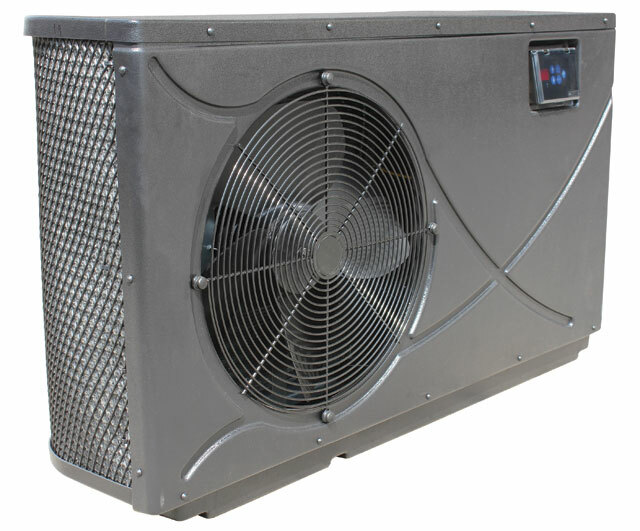 To calculate the size of heat pump you require please click here. 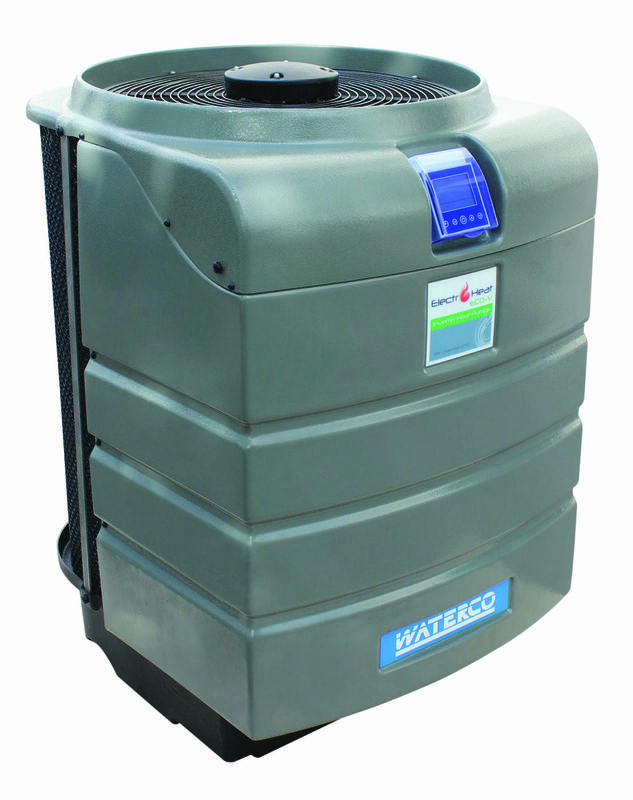 A new addition to the Waterco range the Elecro-heat Ultra Inverter heat pump has the flexibility to vary the speed of the fan motor and compressor to maintain a constant temperature allowing it to use less energy than conventional heat pumps. 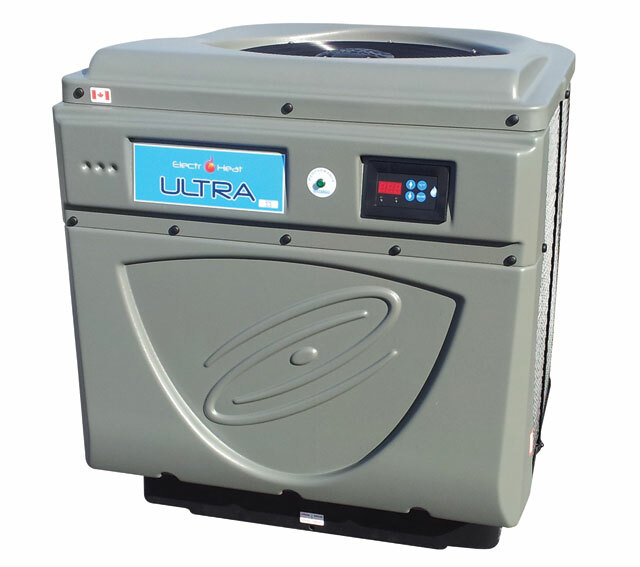 The Ultra adjusts the output from 50% to 100% depending on heat demand, thereby reducing energy consumption. The new generation Electroheat PRO heat pump is the latest advancement in commercial size swimming pool heating. The PRO 96 has been designed to deliver efficient cost effective large pool heating in an easy to operate and install package.